BigClasses provides a job oriented, IBM MQ series online training. 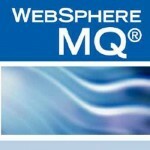 IBM MQ series is a part of the IBM WebSphere. MQ series is used for messaging between different systems softwares. It is a tool from IBM used to maintain the websites in different businesses. Websphere application server is the main tool which connects the java applications to the website users. BigClasses.com has more than 7 years of expertise in providing online IT training; we offer essential IT Fundamentals courses, through to more Advanced IT Programming Techniques, Graphics, Reporting, and Statistics. All our courses are highly interactive and we actively encourage delegate participation. They are delivered by our own experts who are certified training team in small groups to ensure individual attention. We are dedicated to providing excellent quality and effective online Websphere MQ online training courses focused on improving IT business performance.